Home Archive for category "Warhol"
A journal of MOOC studies. A chance to present some of the great student research normally silo’d in MOOC portals to a wider audience. Editors: Edie Sedgwick & Isabella Medici. The focus of this Inaugural Issue of MOOC Magazine is the creative output of Dr. Glyn Davis’ Warhol MOOC from the University of Edinburgh / Coursera. Read more"Warhol: Introduction & Table of Contents"
Andy Warhol’s Childhood Scrapbook may be understood as the germ of a number of themes and obsessions that underscore the majority of Warhol’s adult life from the fascination with Hollywood and stardom to the way in which the scrapbook is organised through uniformity, seriality, and an overt mechanical reproduction through the mass produced studio portraits of film stars. Read more"Nothing special: Warhol’s childhood scrapbook"
Born to poor, immigrant parents in Pittsburgh in 1928, Warhol grew up during The Great Depression. From 1962’s 200 One Dollar Bills, to 1981’s Dollar Sign, Warhol spent his career painting that which he grew up without. Andy Warhol designed and produced covers for over 50 record albums, for classical, spoken word, jazz, rock and pop music, from 1949 to 1986. None have quite achieved the status afforded to The Velvet Underground & Nico with its Andy Warhol Banana. Read more"The Velvet Underground & Nico"
As we were putting the final touches on the Warhol Issue of MOOC Magazine, we received the sad news that Factory Superstar Ultra Violet passed away on Saturday,June 14, at the age of 78. We’ve set up this page with a few small memories of her and invite you to leave a message. The NorthPark Center in Dallas is an upscale shopping mall with a public art collection that includes a wall of 10 Warhol screenprints. Does anyone notice or care? Andy Warhol is an artist. Jack Bauer is a spy. Their job titles are different but each is on a quest for truth. The favored truth extracting technique for both Andy and Jack is torture. Read more"Andy Warhol vs Jack Bauer"
Green Car Crash is part of Warhol’s Death and Disaster series which explores how tragedy and horror occur to ordinary people on a daily basis. Movies show you what to do, how to do it, when to do it, how to feel about it, and how to look how you feel about it. – Andy Warhol. Read more"Flash, Nov 22, 1963"
Commissioned in 1984 by Alexandre Iolas, Warhol created more than 100 versions of the Last Supper, both silk-screened and hand-painted, to inaugurate an exhibition space within Milan’s Palazzo Stelline Gallery. 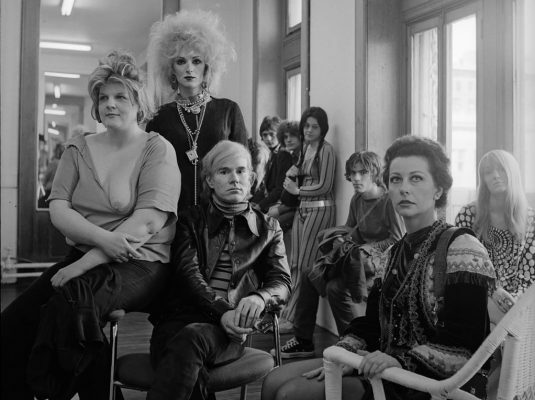 One month after the series debuted Andy Warhol died after undergoing gallbladder surgery. Read more"A Little Bird Told Me"
Some have argued that Andy took my short life away. Or at least that he didn’t “save me.” In every parallel universe I’ve been able to visit these 42 years since my death, I’m sorry to have to report that Edie always dies young. It’s only in the universes where Edie meets Andy, that Edie ever really matters. It’s only in the universes where I meet Andy that I ever really live. MOOC Magazine is the place to publish the great work in many forms that peeps have created in the many Arts MOOCs.